Home / Ford Assembly Line, 1913. Central amongst the causes discussed in The Wealth of Nations concerning the great improvement in the productive powers of labor is the Division of Labor. First accomplished in rudimentary societies by the separation of productive tasks between different individuals, the division of labor achieves its most opulence-inducing effects in modern industry where particular productive tasks are distributed between persons. Adam Smith’s famous example is of the pin factory, in which “one man draws out the wire, another straights it, a third cuts it, a fourth points it, a fifth grinds it at the top for receiving the head,” and so on (WN I.i). 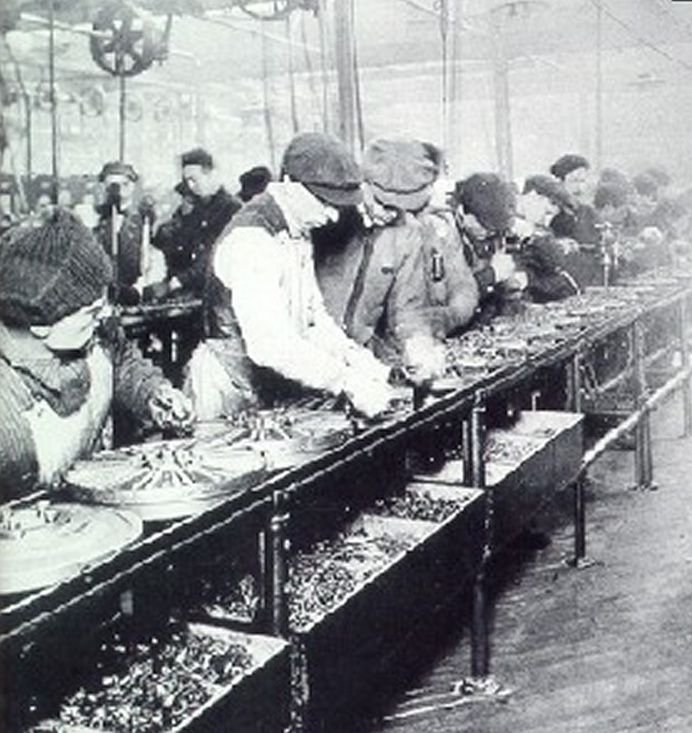 As a result of such divided labor, these persons could fashion “upwards of forty-eight thousand pins a day,” whereas Smith speculates that one workman going it alone without the others, unfamiliar with the advanced machinery of the factory “could scarce, perhaps, with his utmost industry, make one pin in a day, and certainly could not make twenty” (ibid. ).